Where is Belper, Derbyshire, UK. 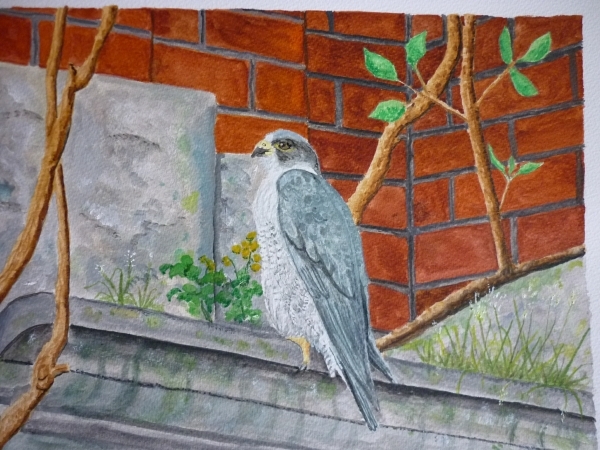 "Belper North Mill" & "Peregrines". 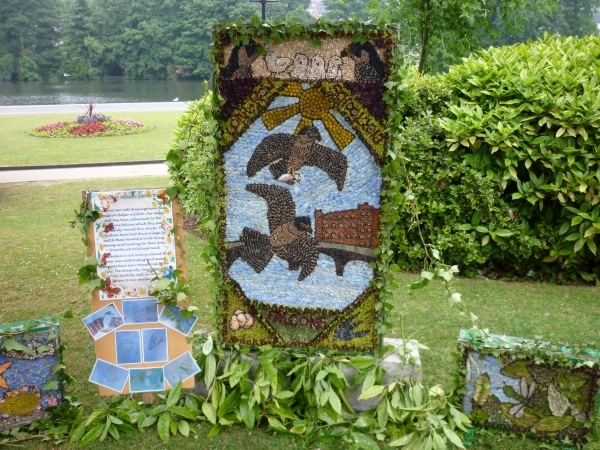 Up to 30 well dressings are displayed annually in Belper's River Garden & through the town. They are made from flower petals and grain set in wet clay and celebrate the supply of fresh water. Information and views of Belper, Derbyshire, UK. Belper is a small town some 10 miles north of Derby, UK. 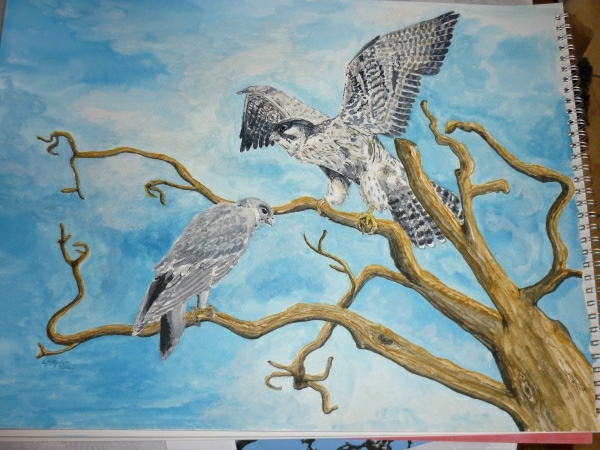 It lies in the Derwent river valley. The area is called Amber Valley because of another river, the Amber, passing through it, and it is on the edge of The Peak District, one of the largest National Parks in the UK. The Derwent river valley from Derby to Matlock is a World Heritage site because it is the location of the start of the Industrial Revolution in the cotton industry. Belper has lost most of it's heavy industry such as metal foundries and now lighter industries such as chocolate making have left. There is still some stocking manufacture at the West Mill but this also is reducing. One brighter part is the use of several floors of the large East Mill for small company premises. Some of these are in the hi-tech area. See what local people think. More information on the area is available at the Ambervalley web site , Belper Town's web site and the Belper Celebration web site. 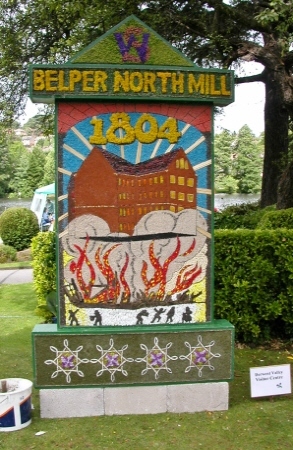 A link is provided to the Belper TV programme on the History of Belper, narrated by Simon Groom.